StickerYou has recently upgraded their technology and equipment to work harder, better and faster for you, our dedicated customers! 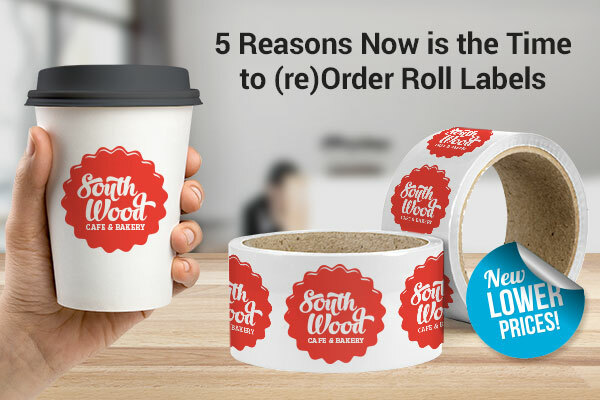 With our improved efficiencies, we have just lowered prices for our Standard Roll Labels and Durable Roll Labels so you can now get your labels at a lower cost than before! Get a Quote to see our new prices for your roll label order in any size and any quantity you need. Just because we are printing our roll labels faster and at a lower cost doesn’t mean we’re compromising on quality! Quite the opposite, in fact, our new equipment not only produces roll labels at over 30x faster than before, but prints in a much higher resolution, so your images will look better than ever. The die-cut quality has also improved, so the edges of your labels, no matter how complex the shape, will be sharper and smoother. In addition to our new lower prices and better quality, StickerYou still offers low minimums, no ink charges, no set-up fees and no die-charges. Order your roll labels in any colour, any material, in any shape and size, all at no extra cost! StickerYou has always offered a variety of different materials and substrates so you can be sure you’ll get the right product to suit your every need! Not sure which material is right for you? Check out this article on Which Roll Material Should You Choose? to help get you on your way to ordering the right product without any guesswork. Still need some help with your order? Unsure which material to choose or how to place your order? We have a dedicated sales team to help with any custom requests, live chat to help you order online, and an entire customer support team to help you with your order from idea to completion. Contact us today and let us know how we can help!